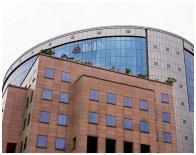 New Delhi, April 14 (IANS) In the continuing IL&FS noxious bonds saga, the creme de la creme of some of Indias top educational institutions have now come under the bus. Some of the toniest names have their staff provident funds enveloped by the disturbing scandal. A hapless government and new Uday Kotak-led management looks on, but does nothing as the case is being heard in NCLAT. While NCLAT wants to speed up the hearing on the intervening petitions filed by the parties impacted, the new management/government cannot let those who have impleaded get priority in the creditor queue.